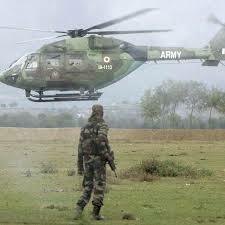 New Delhi: Emboldened by its claim of successful cross border raid inside Myanmar against Naga militants, India is now mulling to attack and invade Nepal to send a strong message to its arrogant neighbour Pakistan, a senior cabinet minister said here today. The minister’s remarks come after warlike euphoria overtook national media with cries of emulating such attacks on western border too. “Pakistan does not seem to have got the message yet. 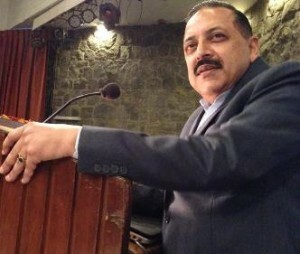 They are still threatening us back even after we showed them how we can go inside Burma to attack militants.” MOS PMO Jitendra Singh said at a seminar titled ’56 inches of waste’ organised by an environmental NGO. Singh’s comments come just days after India claimed to have conducted an operation against Naga militants inside Myanmar with the assistance of the Myanmar government and army, which on its part denied the claim. Sources said New Delhi was angry after Pakistan failed to congratulate India over the successful raid and instead claimed that it was not like Myanmar. Singh added that India had no plans to attack Pakistan, but only wanted to send a message via Nepal. “We had options of Bangladesh, Srilanka, Bhutan, Maldives and Nepal. Bangladesh was deemed dangerous as any attack would unleash their entire population on India, which will be hard to track. On Sri Lanka, we couldn’t get support of Rajnikant and Maldives and Bhutan looked too puny, so Nepal was the perfect candidate to be beaten blue and black as a deterrence for Pakistan,” said Singh. Sources in the Home Ministry told Dapaan that another reason for choosing Nepal was the insistence of Delhi based media fraternity especially television news channels who had faced flak for their coverage of the recent earthquake. The national media has already started a trend #goattackournepal on twitter on the lines of #gobackindianmedia launched by Nepalese after the earthquake. Terrorists with arms in their hands intimidate,abduct and kill people.The need of the hour is terrorists’ activities urgently need to be stopped. Terrorism is anti people and anti peace.As a number of militant groups terrorised common men India,India had to use force for compelling the militants to surrender arms and to stop their terror activities. This action is not against the interest of Pakistan or any other countries.Over decades,Pakistan has also suffered from terrorism..